In recent years civil society has been seen as a key route for democracy promotion and solving development ‘problems’ in low-income countries. However, the very concept of civil society is deeply rooted in European traditions and values. In pursuing civil society reform in non-Western countries, many scholars along with well-meaning international agencies and donor organisations fail to account for non-Western values and historical experiences. 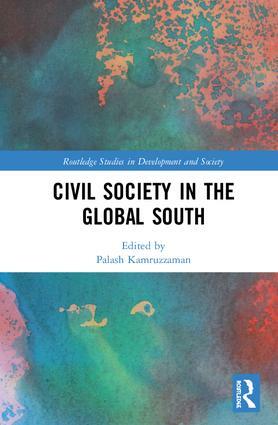 Civil Society in the Global South seeks to redress this balance by offering diverse accounts of civil society from the global South, authored by scholars and researchers who are reflecting on their observations of civil society in their own countries. The countries studied in the volume range from across Africa, Latin America, Asia and the Middle East to give a rich account of how countries from the global south conceptualise and construct civil society. The book demonstrates how local conditions are often unsuited to the ideal type of civil society as delineated in Western values, for instance in cases where numerous political, racial and ethnic sub-groups are ‘fighting’ for autonomy. By disentangling local contexts of countries from across the global South, this book demonstrates that it is important to view civil society through the lens of local conditions, rather than viewing it as something that needs to be ‘discovered’ or ‘manufactured’ in non-Western societies. Civil Society in the Global South will be particularly useful to high-level students and scholars within development studies, sociology, anthropology, social policy, politics, international relations and human geography. Palash Kamruzzaman is a senior lecturer in politics and international development at the University of South Wales, UK.